This weeks Theme for #WASO is ‘Future’. I spend a lot of time worrying about the girls future and also our future as a family. I’m sure all parents worry about their children’s future, will they get a good job, will they marry, will they have a family of their own etc. I worry about all of the above, but I also worry about some of the finer details of life as well. Will big girls infatuation with being a mom lead her to become one too soon, will she continue the cycle of self destruction that she was born in to, will she ever trust any one enough to be able to have a loving relationship with them, will she have friends, will she allow herself to feel loved and have learnt how to love. Will she return to her past and the path she was on. Will she be happy! Will middle girl ever open her heart and let us in, will she ever trust the world around her or will she continue to hide and avoid the world, perhaps behind a bottle or a drug induce state. Will her academic difficulties hold her back, will she ever feel ‘good enough’. Will she be happy! I worry that baby girl may never feel she truly belongs, will she always feel she has to compete to fit in, will her need for attention and reactions get her in to trouble, will her thrill seeking land her in hot water, will she be too controlling for friends, will she learn to be happy without chaos. Will she be happy! I worry about the present too, I worry that I’m not doing the right things, that I’m not saying the right things, that I’m not giving them what they need. I worry that i’ll never be able to ‘give’ enough, that i’ll never be able to fill those gaps from their past. I worry that i’ll never be enough! Anyone have a crystal ball I can borrow!!? No? I don’t know if its somewhere where the smiles are a plenty or tears erupt frequently. I wish I had a crystal ball to find out our unknown destination! We have obsessive behaviours and more. Somethings going on, I just don’t know what?! Today has been about 7 special children having fun, enjoying the outdoors, the fresh air and being carefree. There was mud, there was worms, there was spiders and puddles. 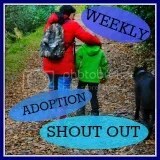 We met with some family’s that I’ve recently got in touch with via a small adoption network. Our children had never met, and most of us had never met. We all started the day as strangers and all ended it as friends. It hasn’t been sunny, I haven’t eaten any chocolate, I’ve been bitten by bugs and nibbled by mites but some how, some way my days been lovely! I smiled as I tucked my big girl in to bed tonight, (and not because I was glad to be tucking her in for the night) and she smiled back at me and for those few seconds I smiled inside as well. Well its been a school holiday like no other. And by that I mean I haven’t enjoyed it. I spend the whole of school term time longing for our fun filled relaxed school holidays. This week I’ve longed for it to be over which makes me feel very sad. 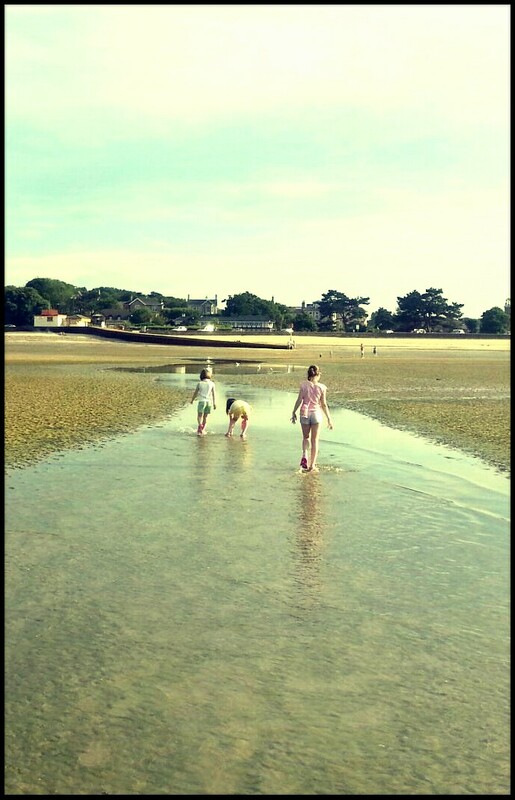 If I can’t enjoy being a mummy term time, and I can’t enjoy being a mummy in the holidays, what’s left? Hubby has had this week off work and I’ve even noticed his enthusiasm flake throughout the week. What’s happening to us? I remember in the beginning being happy, enthusiastic, patient, warm and understanding. I enjoyed being a Mummy even though it was really hard work, and I still found time to smile with them. Over time my enthusiasms faded, my patience has vanished and my enjoyment has withered. These 3 gorgeous little girls with beautiful smiles and infectious giggles have taken everything I had to give. There’s only so many times you can be given a loveless hug, a fake smile, a side wards glance and a dirty look before it starts to pull you down. There’s only so many times your buttons can be pressed before they get stuck in the ‘on’ position. I used to wake excited for the day ahead, now I wake prepared to battle. So where is the light at the end of our tunnel now? Is CAMHS the answer for our family here? Or do I need to see my GP for those dreaded pills so I can learn to ‘switch’ off like my mum keeps telling me I need to do, like its that simple? Or is this just my reality now, is the sunshine to remain hidden from us? Am I ever going to be able to enjoy being the Mummy I so longed to be?